The single biggest hurdle when it comes to ending someone’s alcoholism is the first days after quitting. Not only will they be contending with the emotional and physical cravings that they will be trying to suppress, they will be going through a personal battle with withdrawal symptoms. And although alcohol is often thought of as less severe than the majority of substances that people can find themselves addicted to, it is actually quite the opposite. In fact, the withdrawal symptoms from alcohol addiction are some of the most severe that any addict might have to go through. Because of that, going through detox at our alcohol rehab center in Pompano Beach is highly recommended for those looking to end their alcoholism. There are literal dangers that you may be putting yourself at risk with if you attempt to detox on your own at home, and our staff knows how to help you through them safely and as comfortable as possible. After detox, patients will begin the actual alcohol rehabilitation. 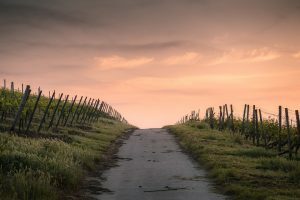 While many alcohol rehab centers may take the time in rehab to offer classes that help deal with the symptoms of a life of sobriety after alcoholism, they may not offer much else. Here at 1st Step Behavioral Health, we aim to sincerely live up to our name. What that means is that not only will we help you avoid alcoholism through tips, tricks, and education, but we use cognitive behavioral therapies to help you discover the root causes of your alcoholism and how best to use that information to keep yourself from relapsing back to that self destructive lifestyle. After treatment from our alcohol rehab program in Pompano Beach, you will still have occasional urges to drink, but that doesn’t mean you have to deal with them on your own. Preventing relapse is done through rehab aftercare programs like therapy, group meetings, and more. To start your journey toward ending your addiction and living a life of sobriety, contact us today!